Yep, it’s a little bit late, but I hope you are still interested in doing another round of challenge – Lucky No.15. After having fun in Lucky No.14 last year, I finally decided to host another year of this challenge. The rules are still the same like last year, with some slight changes. I still used some favorite categories from last year and add some new ones. 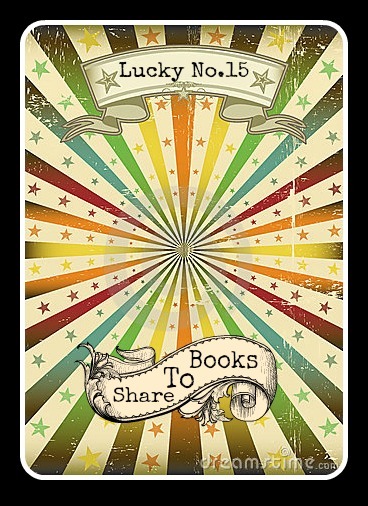 This challenge will require you to read 15 books (or more) from 15 categories below. You can combine the books you read with other challenges, but can not use the same book for different categories in this challenge. Try to match the categories from your TBR piles 🙂 But if you don’t have any suitable books in your TBR – and want to find an excuse to buy a book for this challenge, that’s totally fine too! Chunky Brick: Grab that book with more than 500 pages that you’d always been afraid to tackle. You know you can do it!– The Moonstone (Wilkie Collins) — 640 pages! Something New: Just purchased a book lately? Don’t let it buried in your stacks, read it now! — The Impossible Knife of Memory (Laurie Halse Anderson)– one of my fave authors! Freebies Time: What’s the LAST free book you’ve got? Whether it’s from giveaway, a birthday gift or a surprise from someone special, don’t hold back any longer. Open the book and start reading it now 😀 — The 5th Wave (Rick Yancey) -second gift from my Secret Santa! Hi, there’s actually a linky below the “Master Post/Sign Up” part. It’s hidden because I think there’s something wrong with the html code, I’ll try to fix it. Thanks for joining!